If you were wondering why Hulk and Thor were absent from last year’s blockbuster Captain America: Civil War, then this movie has the answer for you. This is because the Nordic hero and green brute were to get a movie of their own, as Thor: Ragnarok will be hitting theatres this November amid a wave of expectation. 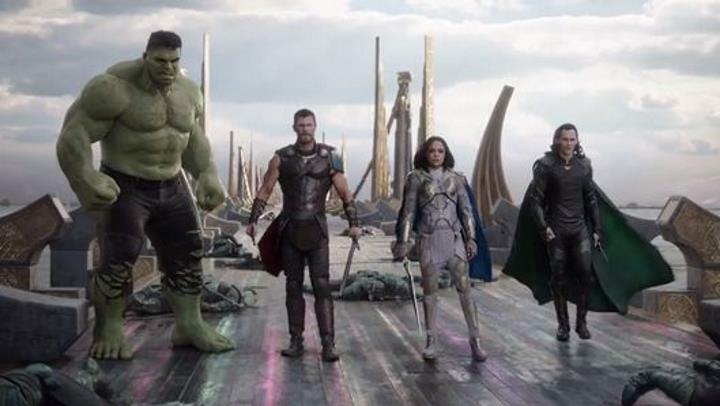 And judging by the latest trailer released at this year’s Comic-Con event in San Diego, this is looking like it will be another explosive Thor movie, and one which is likely to top 2013’s excellent Thor: The Dark World when it comes to action and thrills. The Goddess of Death (Cate Blanchett) will be after the Avengers hide in Thor: Ragnarok. We also see that this movie will be featuring plenty of action sequences, such as one in which Nordic hero Thor takes on the Hulk in gladiatorial combat, as well as another featuring some stunning-looking spaceship combat too. Loki (Tom Hiddleston, left) makes a return here, but will he actually be lending Thor a hand this time? The movie also will also be bringing several newcomers to the Marvel universe, and aside from renowned star Cate Blanchett (who plays the villainess), Thor Ragnarok also features the likes of Jeff Goldblum, who will be playing the Grandmaster here (who’s the Collector’s brother, a character who appeared in Guardians of the Galaxy and was played by Benicio del Toro). What will the Grandmaster (Jeff Goldblum) be up to in Thor: Ragnarok? What’s cleat though, is that Thor Ragnarok is one of the most highly-anticipated movies of the year, so hopefully this will be living up to the other great Marvel movies we have seen to date when it hits theatres this fall. United we win… Thor will be teaming up with old friends and foes to deal with a new threat against Asgard. Note: Thor: Ragnarok will be released on November 3, 2017.